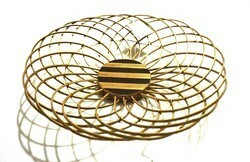 We are offering Square Handicraft Cane Basket. 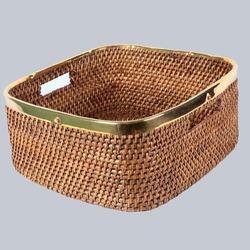 We are the leading entity of a wide range of Oval Bamboo Basket. These Towel Baskets are woven in different patterns, designs and colors. These beautiful Towel Baskets serve both utility and decorative purposes. Dimension: 6" 9" 10" 12"
Can be used as basket or dustbin and it is covered with lid. Window fashions India making all natural fibers products. We are backed by sophisticated machinery and innovative techniques in the production of our dim sum baskets. These are widely used in hotels, restaurants & homes for keeping dim sum warm. Fabricated from high quality bamboo, our baskets are designed to perfection and are available in different sizes and diameters. Description: Cross-woven bamboo baskets. Also available in square/oval/round shapes.